At Clifton Villa, in addition to providing veterinary cover for Newquay Zoo, we also provide veterinary exotic care for a wide range of species ranging from rabbits, rodents, ferrets to tortoises, reptiles and birds within the practice. General examination and husbandry advice for new pets. Routine health checks, rabbit vaccination, preventative healthcare and microchipping. Routine rabbit and rodent dental care. Emergency medical and surgical treatments. 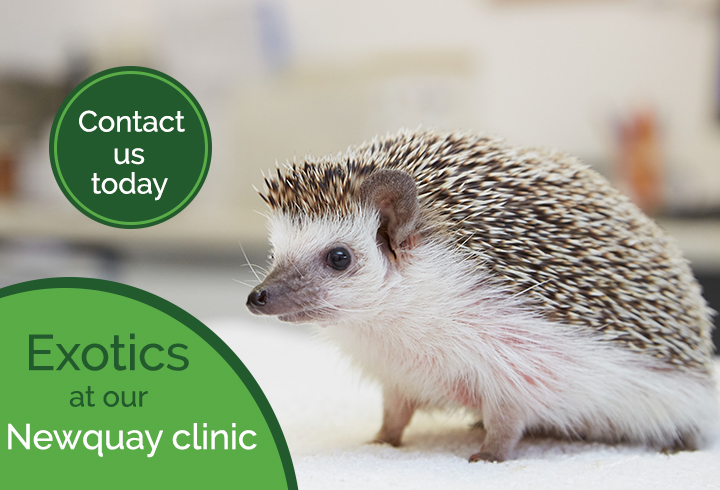 The above is predominantly offered at our Newquay surgery where we have a team of experienced vets and nurses who are familiar with dealing with exotic patients. Please call 01637 851122 to book an appointment.